FC Barcelona rescued a point away at Betis thanks to Luis Suárez’s late equaliser in the Benito Villamarín. That, at least, was the opinion of Barça boss Luis Enrique after the game. “We rescued a point and I look at that as positive,” concluded the Asturian. “The 1-1 result is positive for us as we pick up a point. They were the better side for 30 minutes in the second half, the first was more equal and we were able to salvage a point in the end. “We changed the system because I didn’t like what I was seeing. We pushed Neymar and Aleix Vidal out wide to give us more width and Sergi Roberto and Jordi Alba also got forward. “In the first half we didn’t have too many problems and they didn’t really create too much but then neither did we. In the second half they pressured us high up the field and created chances. We found it difficult to bring the ball out from the back and they were the better side. We made a lot of mistakes and we were not at our normal level and that allowed our opponents to grow in confidence. 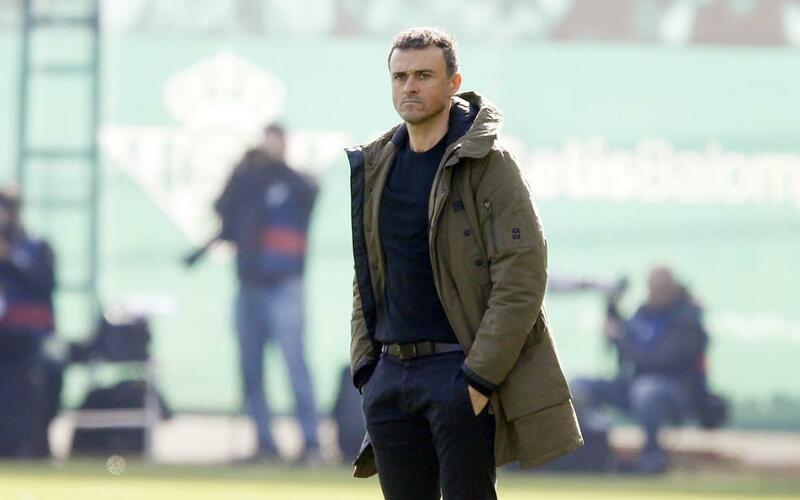 Luis Enrique was characteristically diplomatic when questioned about the incident in which the ball appeared to cross the goal line but was ruled as not a goal by the officials. “Referees need help, be it cameras or whatever, for decisions which favours us or not,” reasoned the Barça coach.